Hi Girls! As you can see from these pictures, it’s warm and sunny here in the Tampa Bay area . . . a gorgeous day! I love the stamp simply challenge this week of giving our old rejects/incompleted projects a new chance at life . . . !!! I don’t know about you, but I have tons in a pile with plenty of choices. 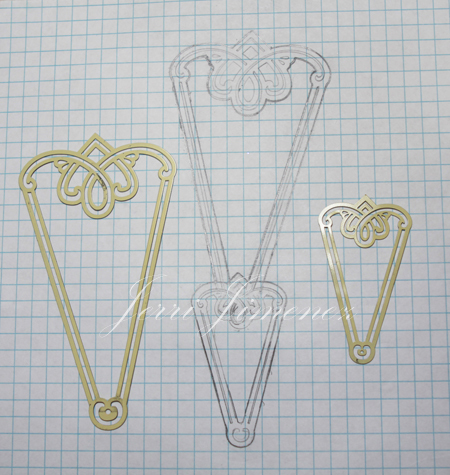 Back in January I embossed and cut several fans with the idea of using them in a design I was working on. They didn’t make the cut . . . pardon the pun!! So after reading Sharon’s challenge yesterday, I decided to give it a go and I absolutely love the hydrangea door hanging design I came up with. This is so much better than the design I originally intended for this fan. I’m glad I Gave It A Chance! I’ve temporarily hung the design near a window to show you the gorgeous parchment butterfly with sunlight filtering through the wings. I’m tempted to hang a few chimes on this and place it near an open window. I drew the butterfly a year ago. I drew another one with the wings fully spread. I haven’t designed with it yet, maybe soon. I’m so loving the whimsy of this butterfly and the silk ribbons (okay, I’ve got a secret to tell you . . . hee hee hee . 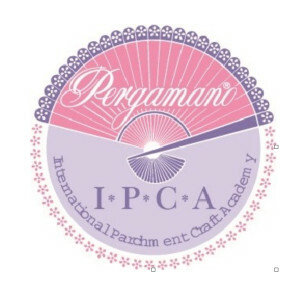 . . remember this design . . . Yup, I did it, I recycled the butterfly . . . I went green . . . well, in this case, I went blue . . . hee hee hee). A full display of the door hanging. The base of the hanging is a fan (a sketch is provided at the bottom of this post) that I designed using FE 6117 (Anja Style fan stencil). Not only did I select a discarded design to take another shot at, I also pulled out my old, dusty Cuttlebug dies and found a four petal flower die that was perfect for the hydrangea flowers (about 1-to-1.25″ in diameter). ETA: I’ve received e-mails requesting info on the Cuttlebug flower die. I’m sorry, I don’t have a clue. All of my dies are stored in the Cuttlebug plastic binders, I didn’t keep any of the original packaging. I have several alphabets sets and, if the die came with one, I don’t know which set it belongs to. I also used my new Cuttlebug leaf die (available for sale in my store, A Touch of Grace – Paper Boutique) for the leaves shown in this picture. This leaf is versatile, it looks great as a rose leaf, a dahlia leaf, a hydrangea leaf, etc., it’s fairly large as well. I love the variegated effect I was able to achieve on the leaves. The sweet little butterflies fluttering in the tendrils were made with a Fancy Crafts Twin Punch. 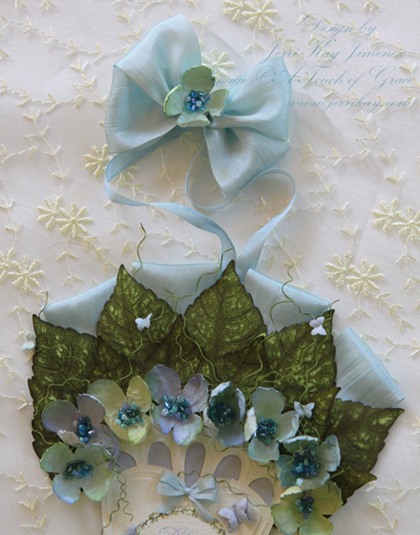 Using 1.5 silk ribbon, I adhered silk tabs behind the leaves and a large bow at the top of the hanger with a hydrangea flower adhered to the bow’s center. For bow making instructions using the Bow Easy, click here. 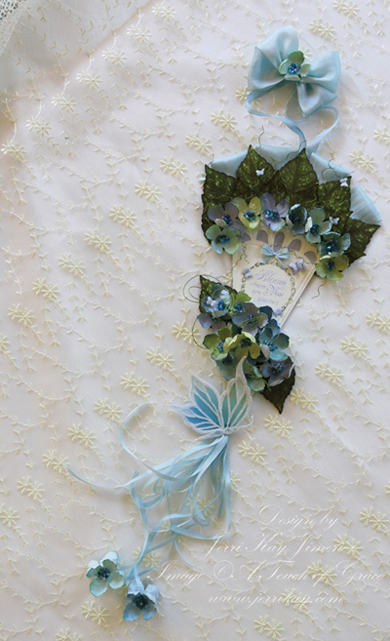 The ribbon used for the hanger is 1/4″ matching blue silk. I used a craft knife to cut out the areas in the fan below the hydrangea petals and lined the back side of the fan with Lavender embossing paper. 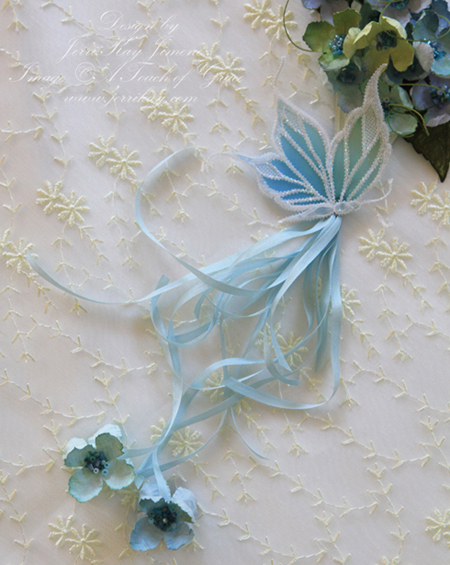 A small bow made with 1/8″ matching blue silk ribbon was adhered over the sentiment. I cut the flowers and leaves first. 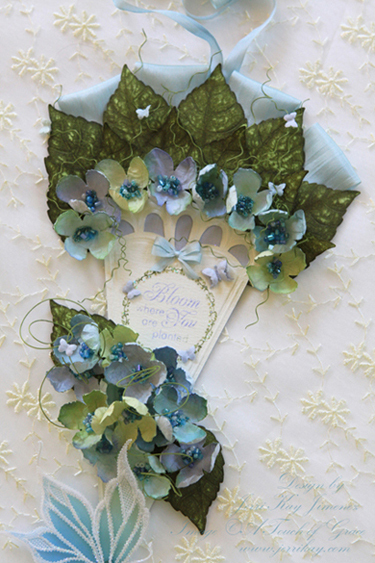 The leaves were cut from Spring Green embossing paper, the hydrangea flowers were cut from Sea Green, Ice Blue, and Lavender embossing papers. I sponged Stampin’ Up!’s Old Olive and Always Artichoke ink on the leaves. I watercolored the flower petals with Stampin’ Up re-inkers to get a varigated effect. When the petals were dry, I embossed them on a Pergamano Embossing mat with Pergamano Embossing Tools. I dabbed a bit of Perga Glue in the center of the flowers and sprinkled chunky beads in variegated blue hues. The Moss Green tendrils were made with a Genesis paper trimmer. I attached hydrangea petals to two of the longest silk ribbons. I love the whimsical tail attached to the hanging. 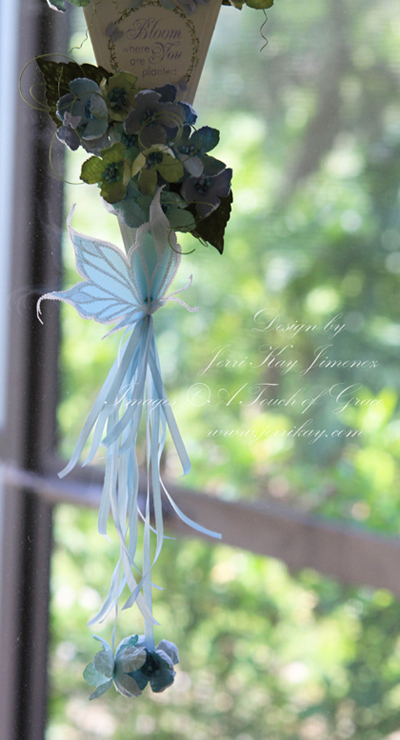 I made it with the 1/8″ silk blue ribbon, it was a perfect match for the water colored flowers. The Bow Easy and all silk ribbon used in this design is May Arts, purchased at the Stamp Simply Ribbon Store. The JustRite Seeds of Kindness set is perfect for this design. 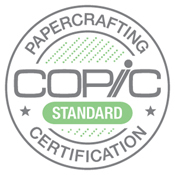 I stamped the image using a 1 5/8″ JustRite Stamper onto Carnation White embossing paper. Using Stampin’ Up markers direct to rubber, I colored the sentiment a lavender shade and the foliage around the sentiment in an olive shade. A Quickie Glue Pen was used to adhere specks of glitter in the foliage. FE 6117 Anja Style Fan 3 – used for the hydrangea design above. 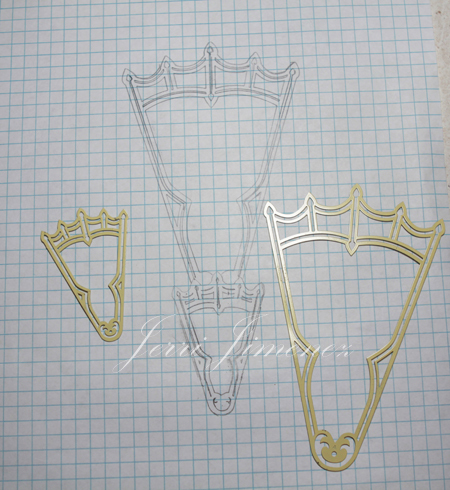 Copies of the templates will be provided with order (upon request) when purchased at A Touch of Grace – Paper Boutique. I provide a “full service” internet store. If you have any questions about any of the products in the boutique, please e-mail me with your telephone number and I will be happy to call you and answer your questions (within the continental United States and Canada). FE 6116 Anja Style Fan 2 – Used for Bridal Fan design. 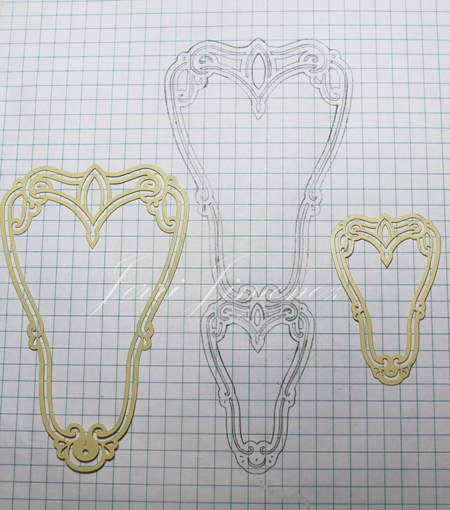 The Marianne stencils are versatile and can be mixed. For this fan design, I used FE 6116 Anja Style Fan 2 and EH 1824 Open Passe – Partouts. 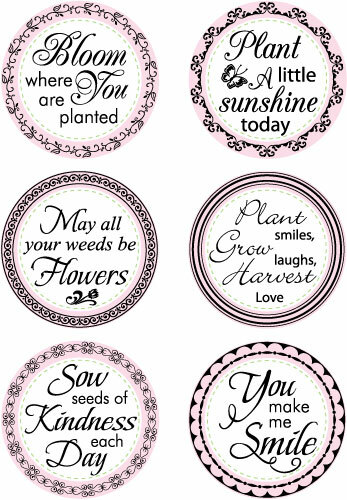 Seeds of Kindness stamp set by JustRite Designs. 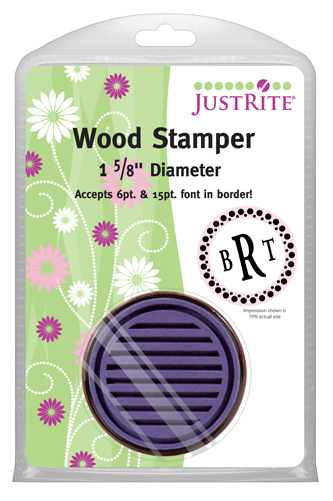 1 and 5/8″ Wooden Stamper by JustRite. Shopping links have been provided throughout the post for your convenience. Thank you so much for stopping by and sharing a part of your day with me! I truly appreciate your visits! I am always amazed at how you can take a sheet of paper and turn it into such beautiful works of art!!! This is sooo delicate and sweet! Ack! I better start saving my pennies because I see what I want!! This is such an amazing piece of art, Jerri. I adore the colors and all your perfect little details! You stun us once again!! Wow, Jerri, this is amazing! I love the idea of using up unfinished projects, but never seem to come up with a brilliant idea, as you have! Soooooo soft and femine. Goodness, I love this! Just when I thought I would never see anything more beautiful as the Wedding Collection…you make this creation!! I love the flowers you have made here…can you tell that I am really excited about trying to make some of your flowers? I cannot wait until I get my goodies in the mail…The “heat is on!” ! This is gorgeous, Jerri! I love the colors you used and the flowers are so perfect. Just beautiful and using my favorite flower! Your talent is amazing! After reading through your information, I found we are nearly neighbors in Tampa! Absolutely gorgeous Jerri!! What a wonderful peice of art!!! You have such a wonderful design eye. You are just amazing!!!! Another treasure trove of wonderful ideas, Jerri!!! Before I became a passionate parchment crafter, any and all ‘other’ paper crafting was my thing and I was also heavily into stamping so this brings back many wonderful memories of those days for me :)) I love your idea of hanging a few small, delicate chimes to the fan and hanging it near an open window too…..what a lovely sound that would be inside the house instead of the usual wind chimes outside!! 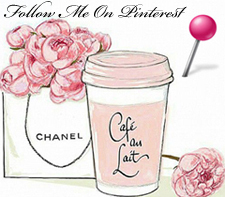 Inspiration abounds with every article you share with us. Jerri, this absolutely takes my breath away! I love, love, love it!!! You never cease to amaze me with all your attention to detail! All I can say is Wow! shack last july and my house looks it, with the daycare too. We work well we both like the same things. well keep us posted. Your work is no words for what you do. OH, WOW!! This is over the top FABULOUS!!! I love how you created the fan with your stencils. 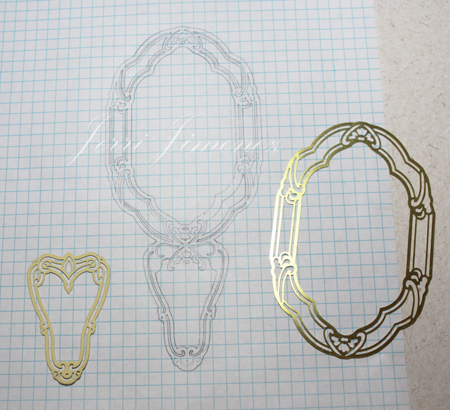 I think the bottom stencil you show reminds me SO MUCH of a vintage hand/dresser mirror my grandma had!!! I love, LOVE, LOVE the flowers you create — you are definitely the master in that department — they always look SO real — and what GORGEOUS leaves!!! You never cease to amaze!!!! SO glad you decided to play the Stamp Simply Challenge this week! Hope you can join us again sometime! Jerri, this is another awesome project that you have created. Hydrangeas are one of my favorite flowers! The colors are so soft and beautiufl, gf! This is absolutely beatiful!!!!! 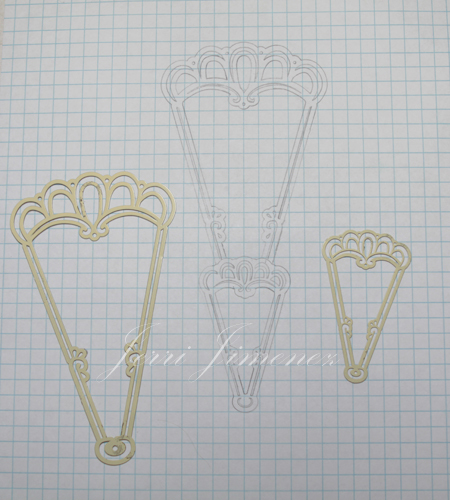 I haven’t gotten started doing paper piercing… yet. But as soon as get all my other projects finished, I’ll be ready to start! Thanks for all the inspiration. You are such a prolific artist! Awesome Jerri, as usual. What Cuttlebug flower die did you use? The closest I can find is part of the “cut/emboss” 2-die butterfly set. Gosh, when does it end??? LOL. Like many mentioned about the flowers, I also love hydrangeas in the colors you used. Did you use SU paper for them? They are awesome. Now I know what the meaning of “eye candy” is. There is something inside of me that just goes “ooooou” when I see your creations. What a joy it is to make something so beautiful. I,, too would like to know what Cuttlebug die you used for the flower. You just have to do some Youtube videos making these flowers! Oh this is gorgeous!! It would also make an elegant gift wrap embellishment instead of a bow. Imagine this using the wedding or baptismal colors for the ribbons and flowers .It would be a keepsake for the bride and groom or parents ! Crikey Jerri, i now have gravel rush on my chin – cos for the last couple of weeks my jaw has continually dragged along the floor!!!!!!!!!!! Your bridal collection was A M A Z I N G – and yet STILL theres MORE!!!!!!!!!!!!! As i (and others) have said before – you never cease to amaze! Does your head ever actually hurt from being full of all these fantastic ideas? Again most importantly – thank you for sharing them. Are these the dies you used? I saw in your post that you are from the Tampa Bay area!!! Me too!! Where do you live in the area? 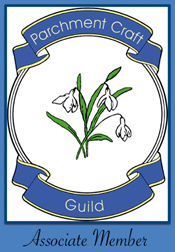 Do you offer classes in your studio? 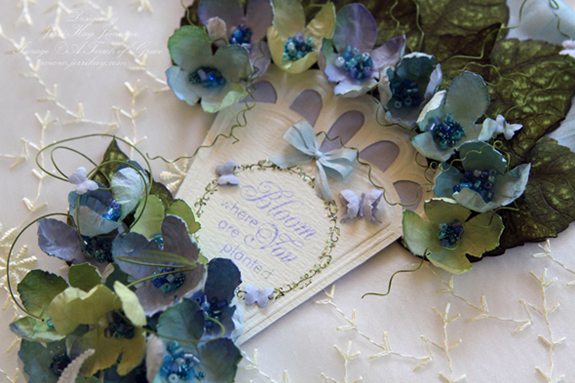 Oooooh, I Looooove this Jerri….the little blue flowers are sooo pretty and I love the vellum butterfly!!!!!! I think your idea of adding the chimes to the bottom for an indoor wind chime is fabulous!!!! 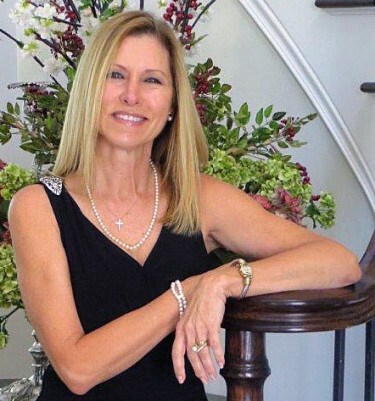 Your painting always ~STUNS~ me Jerri…this project does as well! 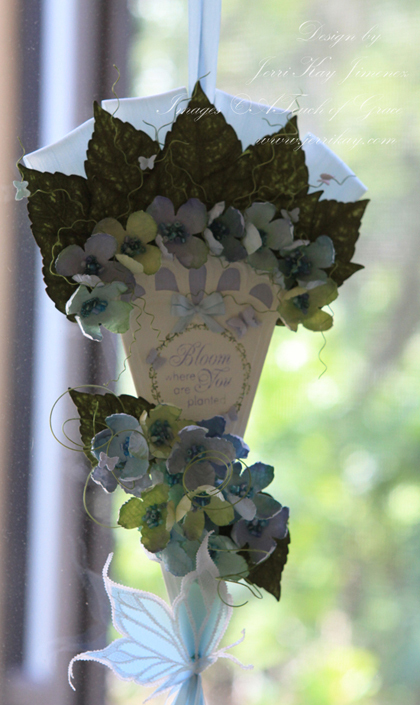 What a pretty paper crafting project from an old castoff! Beautiful! WoW, what a fabulous creation … this is so beautiful! Thanks for joining us in this week’s Stamp Simply “Give it a Chance” challenge! OMG–you’re amazing–this is just totally over the top. I though the bridal collection was the ultimate in creativity and now this–love the butterfly on the chimes–sooo very pretty. Jerri…you have the coolest ideas!!! This is just WOW and I’m always amazed by all the fabulous details you add to your projects!!! The JR image is just a perfect sentiment to add!!! This is a gorgeous hanging! You do such beautiful work. Oh, my word, Jerri! I’ve just spent quite a bit of time scrolling through your last several posts. I didn’t realize you’d been so busy!! Your bridal collection is exquisite and so intricately detailed. This project is sweet and fresh and, oh, so very lovely. I should have known I’d be here for a while. Your blog is like one of those wonderful books you pick up and then can’t put down again! Thank you! Magnificent!!! What a feast for the eyes Jerri!! I just love perusing yor works of art – they are perfect in every way and take femininity to a new level!! Have really enjoyed your wedding series…and this current project is absolutely beautiful too!!!! I gave your name and site to the owner of http://www.some-assembly-required.com at a recent convention…she demos your craft and sells the tools, and said she always likes to see what others do. Hope you two were able to make contact. Absolutely gorgeous, Jerri!! So delicate and perfectly detailed as well!! I love the colors too! !